Complexity affects everyone today. In the challenges of everyday life, professional and personal, organizational and societal, complexity is omnipresent. The world is more connected and, at the same time, parts of it are diverging in values, culture and economic activity. How do we face the complexity of our lives? Having frameworks that show us how to develop a greater understanding is important. These insights also help us to recognize when the complexity is too great for us as individuals and how to work with others to meet challenges. This year NECSI has worked hard to bring the understanding of complexity science to a growing community through our educational programs, research papers, and social media. As complexity increases, we are continuing to clarify the important role that policy makers have in righting the unstable economy and addressing violence and conflict around the world. Significant new papers in understanding social dynamics, macroeconomic policy, individual differences, and the potential causes of a recent birth defect epidemic are among the contributions of our efforts this year. Our programs are expanding, and our staff is growing. We are particularly pleased with the elevation of Alfredo Morales to Assistant Professor, and the incredible boost we have from the new staff, Kim Severino and Lis Perry-Montgomery. We are in process of bringing onboard new postdocs and students. There is no lack of exciting and challenging topics to do research on. We are looking forward to an exciting year. We wish you all the best, including a new peace. We hope you will continue to share with us the building of our efforts. Many thanks! Twitter exposes intriguing patterns in social activities of cities and across the world. See the Research paper and Highlights summary. The words people type online reveal their personalities. See the Research paper. The economy includes two flows—wages for work that people use to buy goods and services, and investing that leads to returns. Understanding how these two loops should be balanced can lead to sustained economic growth for all. Read about the study on Motherboard and listen to it on the HumanCurrent. See three companion pieces on Medium. See the Research paper. The Zika virus is considered by many to be the cause of the outbreak of microcephaly in South and Central America, but what if there was another factor involved? NECSI has built a case for the pesticide pyriproxyfen. See the Research paper. Six years since the Arab Spring, NECSI's predictions have, unfortunately, been realized. See the Research paper. Watch a Motherboard video about NECSI's work on global crises. Learn why teams can respond to highly complex challenges. This is an important clue to how teams can be built to make effective decisions, responding to complex challenges they face individually and collectively. Learn why a complex system is different from a simple system. Multiscale information theory, developed by NECSI, helps overcome the limitations of traditional science. Can a president effectively manage the US? Listen to Professor Yaneer Bar-Yam answer this question on Science Friday. The former Yugoslavia and Switzerland seem like very different places. Learn how the role of internal borders led to the two country’s divergent outcomes. Learn how complexity science and new medical technology could revolutionize healthcare. Dynamic medicine can dramatically improve society's understanding of health and the treatment of disease. ICCS is Back! The Ninth Annual Conference on Complex Systems will be held July 22-27, 2018 in Cambridge MA, USA. ICCS is a unique interdisciplinary forum that unifies and bridges the traditional domains of science and a multitude of real world systems. This year’s special Friday session topic will be Artificial Intelligence; the session will be chaired by Iyad Rahwan of MIT's Media Lab. In addition to the summer and winter schools this year, NECSI conducted two successful executive education programs: Strategic Analytics: Risk and Strategy in a Changing World, and AI and Beyond: The Integration of Human and Artificial Intelligence. Feedback from participants was overwhelmingly postitive. Relationships built during these courses continue. "Yaneer gave me a better understanding of what complexity is, how it might be measured and compared, and most of all answered questions about how we might apply this understanding to live issues." "The best parts of the program, in my view, are the robust theoretical concepts presented and the Q&A sessions. I also thought the use of graphics in illustrating the core concepts and their applications was quite effective." "Impressive end-results of several deep studies were presented." "I have received a lot of formal education in my life, and Yaneer is fantastic at explaining complicated material and ideas." Gain new insights that reframe your thinking, specific tools to advance current projects, and perspectives to set new directions. Designed to serve as a practical and transformative guide for decision makers across a wide range of industries in both public and private sectors. NECSI's Alfredo J. Morales hosted a special satellite session at the Conference on Complex Systems in Cancun, Mexico this summer. His session, Understanding Our Complex World Using Data Analytics and Models, covered advances in the analysis of social, economic and political challenges using big data and modeling, including: data for policy making, market dynamics, economic growth, social segregation, political polarization, global risks, extreme events, technological development and AI. Alfredo also was invited to the Behavior and Analytics Laboratory of Sabanci University in Istanbul, Turkey, to a give a presentation on Social Segregation and Polarization in Urban Areas. He explained how to analyze Twitter data to retrieve patterns of human communication and mobility that are linked to segregation of interactions and differentiation of behaviors. The seminar was attended by students and faculty from management and engineering schools, as well as by decision-makers from government and industry. NECSI President, Professor Yaneer Bar-Yam, was invited to speak to the Governing Council of the Common Fund for Commodities in December at The Hague. He spoke to representatives of nearly 100 countries on the council about new recommendations to promote economic development in developing countries based upon complex systems analysis. An opportunity for quantitative analysis of individual countries was discussed. In mid-September, Prof. Bar-Yam was invited by the Dallas Fort Worth Committee on Foreign Relations to speak on the topic "Global Transformation of Societies: Implications for Business and National Security,” as part of the organization’s Global Risk Series. A moderated discussion followed with Todd Bluedorn, Chairman and CEO of Lennox International, and board member David Kohl on a range of pressing issues that are transforming business and society. The audience was comprised of executives from mid-large market companies who are engaged in business across the globe. Prof. Bar-Yam spoke to the group about how business leaders today can respond to and plan for increasing complexity, and what future risks and opportunities they can expect. We are excited to announce that Alfredo J. Morales has been promoted to Assistant Professor at NECSI. 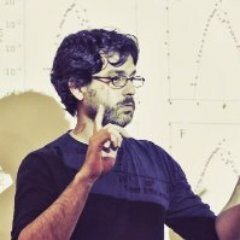 Alfredo is contributing to a better understanding of social systems by developing computational and analytical methods based on complexity and data science. His work is at the intersection of computer science, statistics, applied physics and artificial intelligence. He discovers patterns of human behavior in large datasets resulting from human activity on social media, internet, mobile phones or purchases. These patterns explain large scale societal dynamics and properties, including segregation, political engagement, political polarization and social influence. Kim Severino joined the NECSI team in 2017 as our Vice President of Community Relations and Development. Kim brings with her over 20 years of experience in business leadership and community engagement. In her new role, Kim is tasked with strengthening relationships within our greater communities, growing our outreach efforts, and facilitating strategic partnerships. 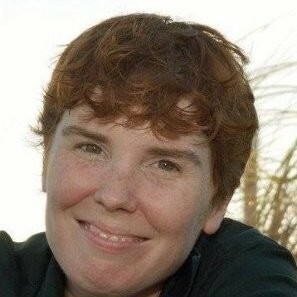 Elisabeth Perry-Montgomery joined our team as Director of Programs and Administration. Lis brings with her years of experience in event planning, human resource management, and administrative coordination. We are happy to have Lis with us at NECSI facilitating our educational programs and managing our internal administrative processes. Leila Hedayatifar joined us as a postdoctoral researcher fellow. Leila's research experience includes noisy time series, growth of rough surfaces far from equilibrium, and complex networks from the statistical physics point of view. She is interested in artificial intelligence and machine learning techniques. The major focus of her current research is understanding the structure of societies based on social media activity, using methods like agent-based models and community detection algorithms. Aabir Abubaker Kar, joined us as a student researcher. Aabir is trained in physics and mechanical engineering, a combination that has proven exceptionally useful in his current work analysing the multiscale dynamics of supply chains. Through techniques of unsupervised learning and cause-and-effect detective-work, he hopes to offer both insight and improvement to these complex systems. His broader interests are in decision theory and network theory. Mary-Katherine Heinrich is a NECSI Research Fellow and PhD student at The Royal Danish Academy of Fine Arts. Mary-Katherine studies the potential applications of hybridizing plants with robots, with a particular interest in architecture. Plants have a natural ability to self-organize and grow. Developing robots that can form symbiotic relationships with plants could leverage those natural abilities to form new kinds of structures and buildings. Subodh Patil joined us this year as an External Faculty Fellow. Subodh is an Assistant Professor at the Niels Bohr Institute. He is interested in cosmology, gravity and related aspects of beyond the standard model and string phenomenology, all aspects of early universe physics, particularly effective field theory on time dependent backgrounds, semi-classical gravity and, more recently, cosmological applications of non-equilibrium techniques. We also had a great group of summer interns including Jean Langlois-Meurinne, Chandler Squires, Nikhil Kunapuli, Ashley Severino, Loretta Williams, Taeer Bar-Yam and Owen Lynch.